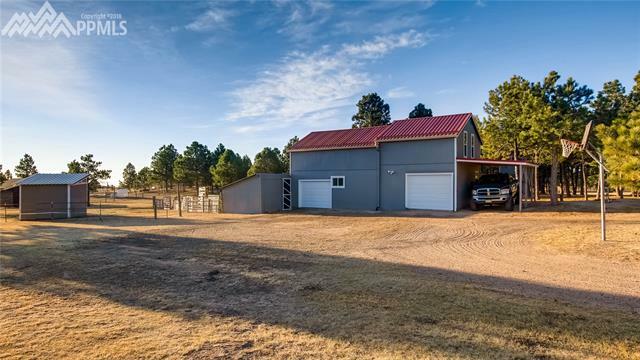 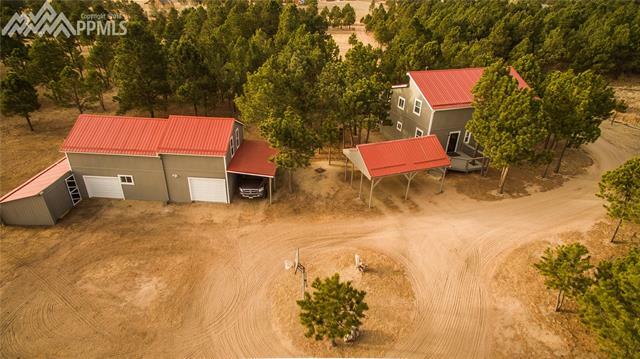 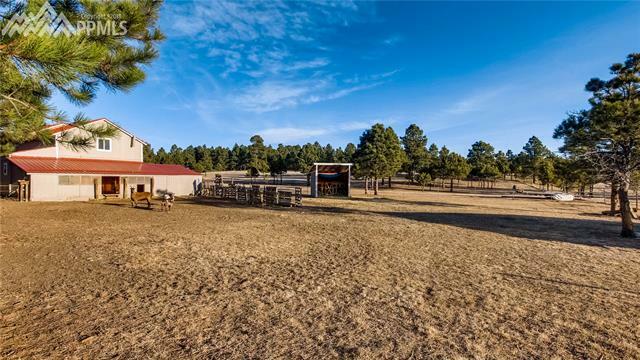 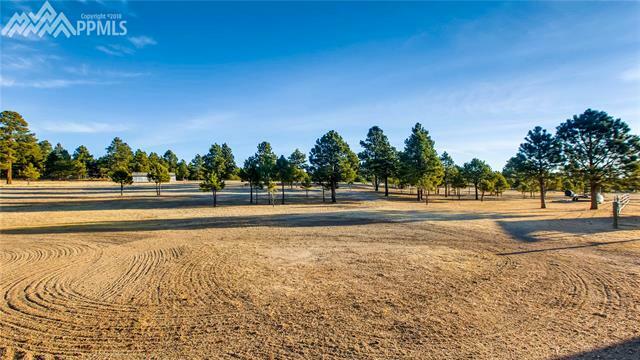 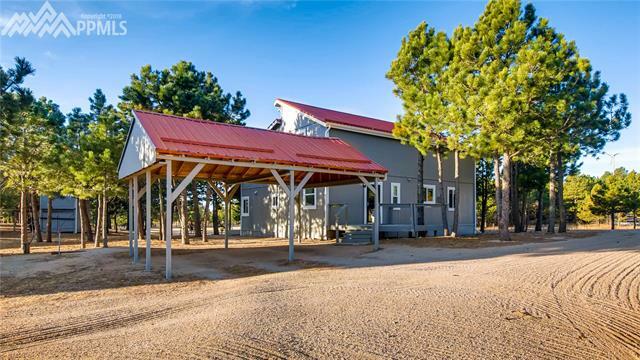 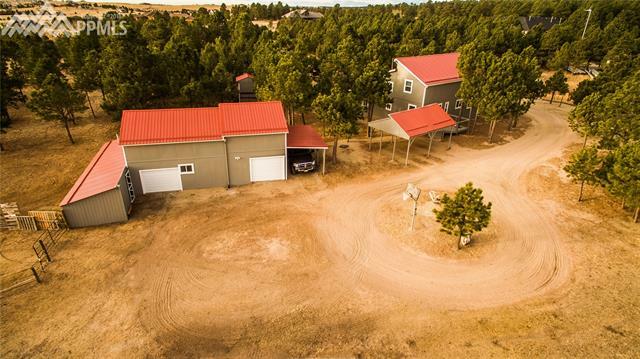 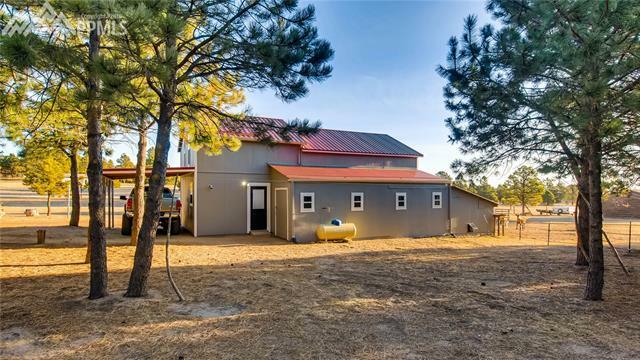 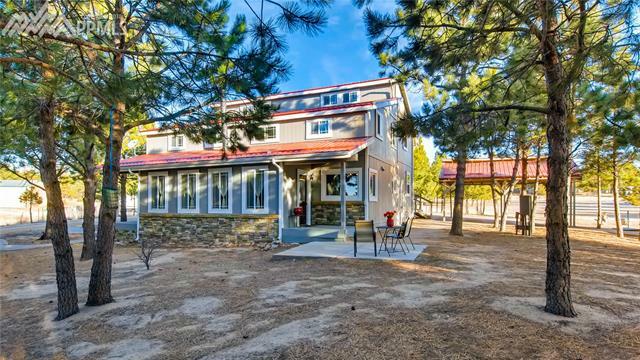 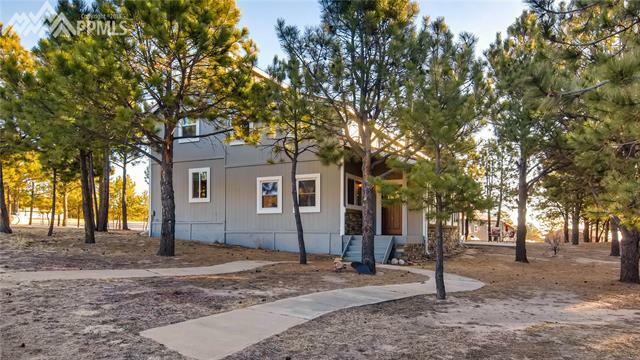 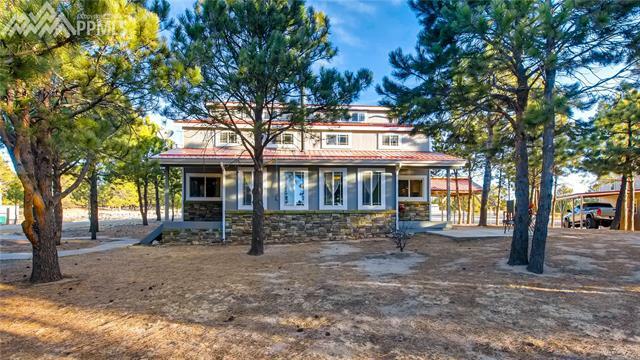 Gorgeous Custom Home in Black Forest on 5 secluded acres. 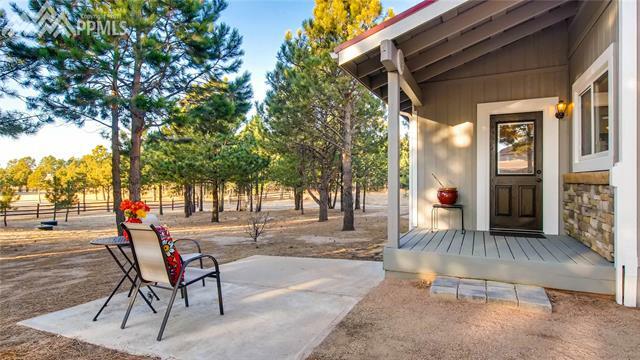 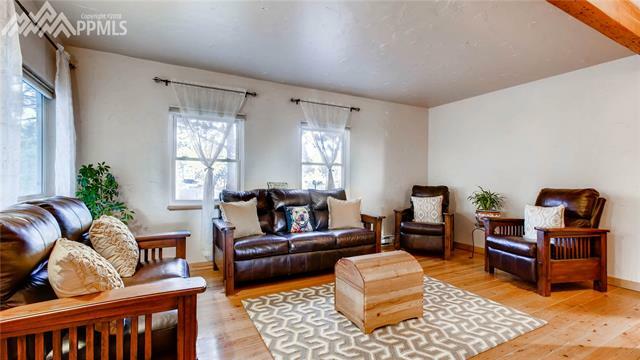 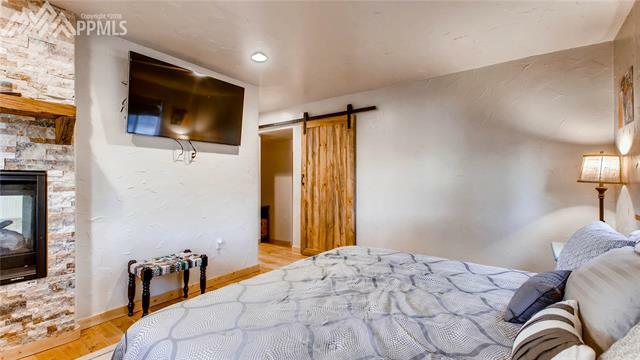 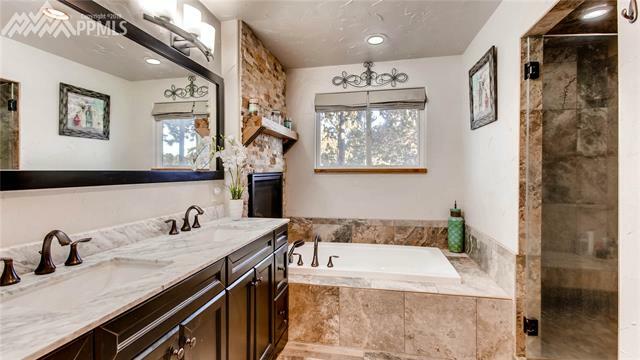 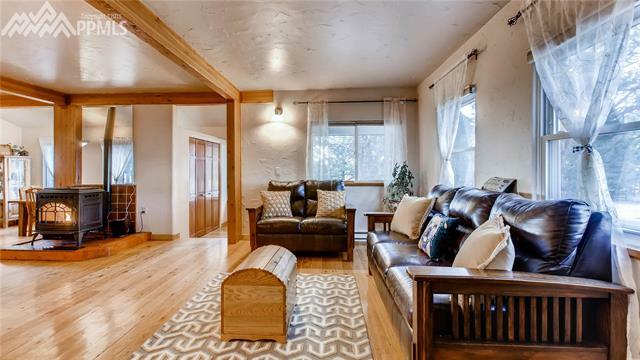 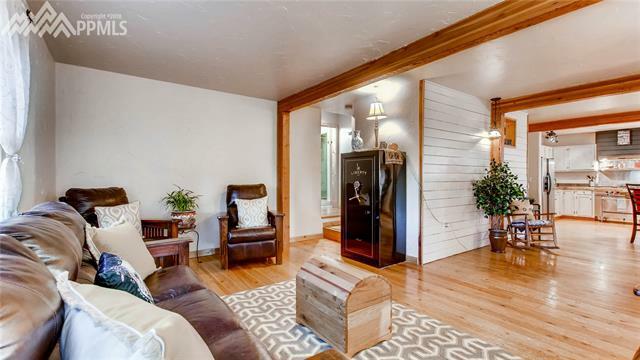 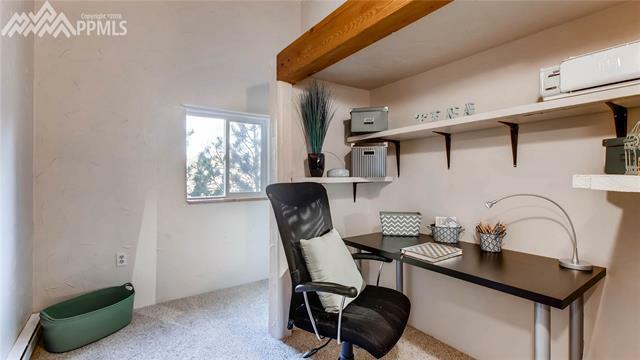 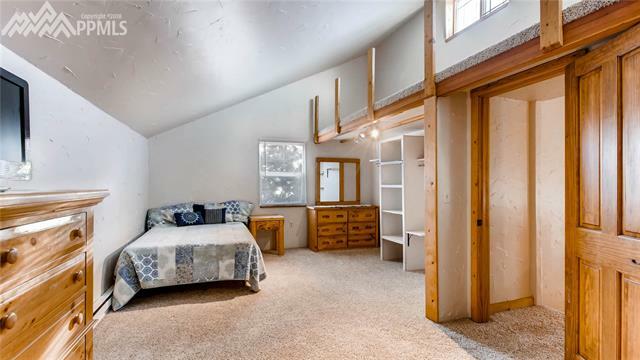 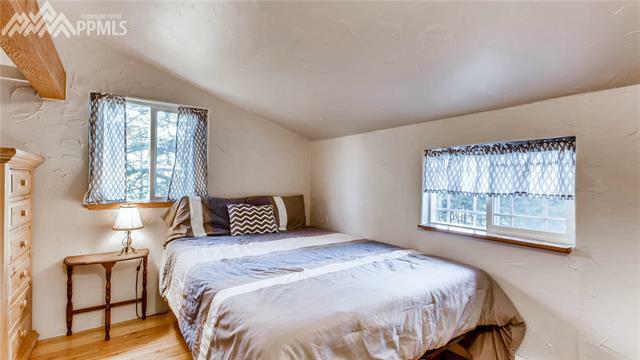 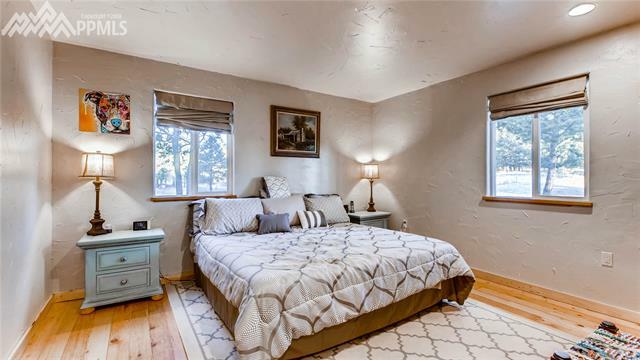 Exclusive opportunity to own a one-of-a-kind home with exposed wood beams and floors that were reclaimed from the original Garden of the Gods Visitor Center. 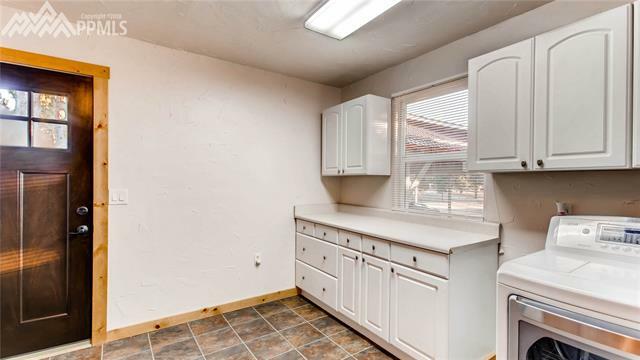 Everything has been lovingly upgraded and maintained. 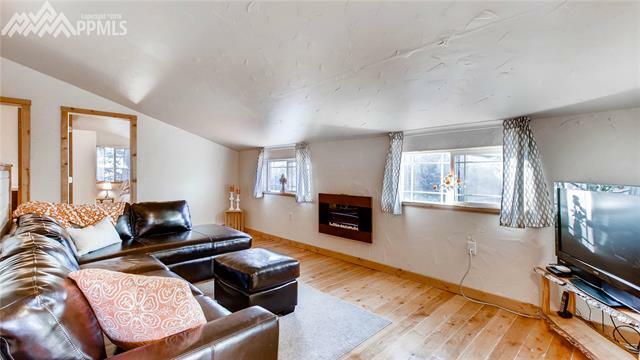 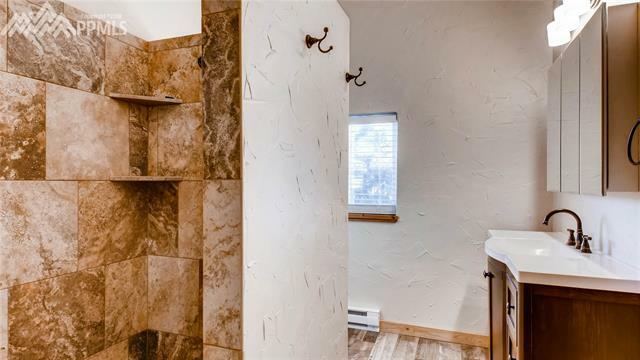 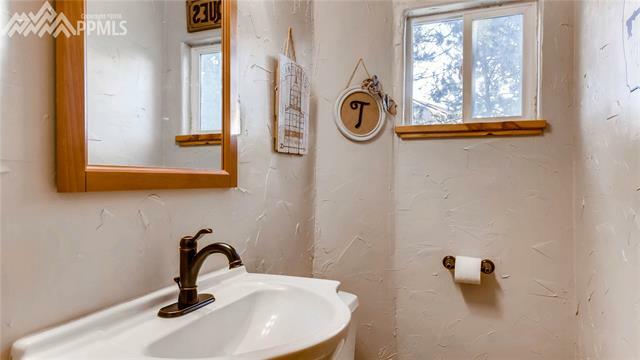 Entry, family room, sitting area with pellet stove, dining room, custom kitchen, laundry room and master suite are located on the first floor. 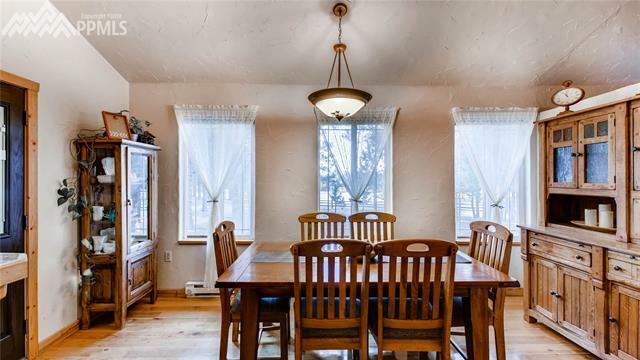 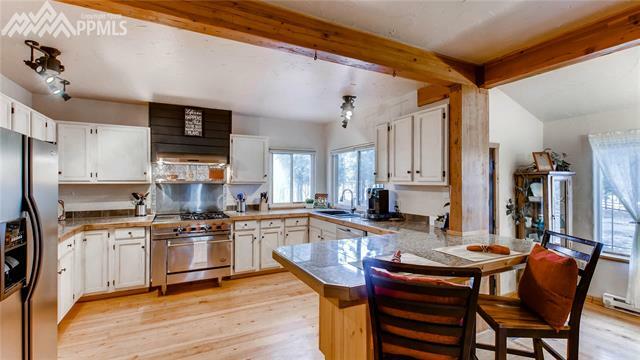 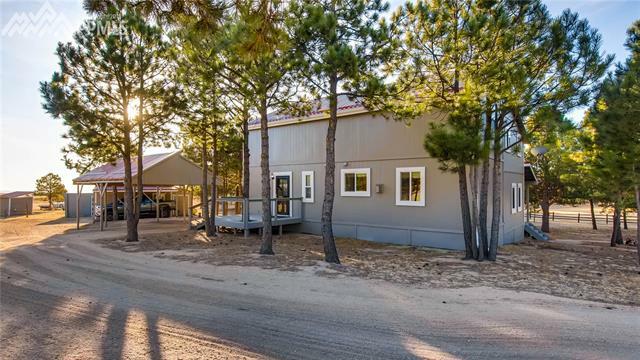 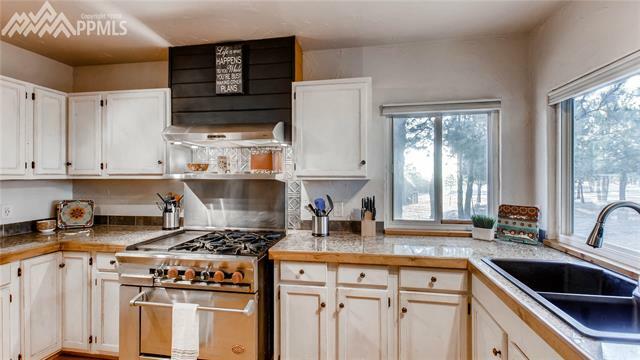 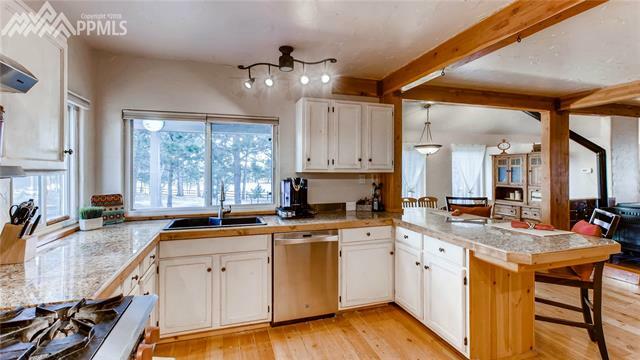 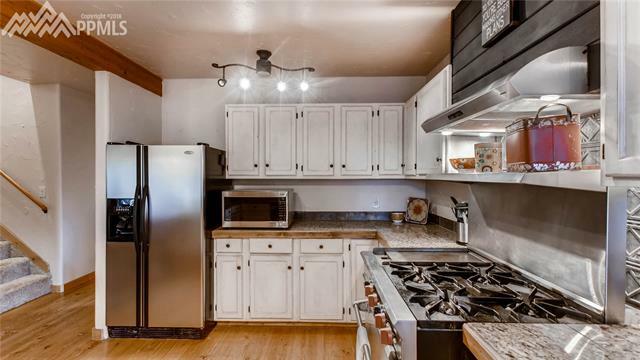 The kitchen is a cooks dream with knotty pine cabinets, commercial stove/oven, granite sink/tile counter-tops.